Do you associate certain colors with certain seasons? For me, yellow is definitely a springtime color. After months of winter weather dominated by shades of gray and a palette of faded colors, spring explodes with bright colors, with yellow daffodils popping up all over the place. Usually I have to wait a bit longer for yellow to pop up in the birds and insects that I enjoy photographing. As I was exploring with my camera this week, I ran across bright yellow subjects in two very different locations. 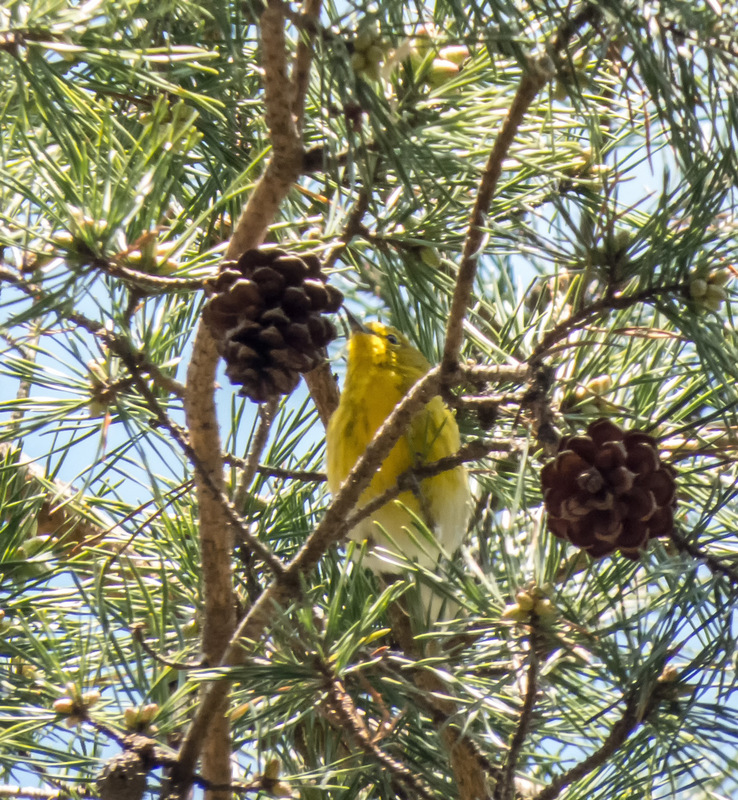 One, a Pine Warbler (Setophaga pinus) was quite appropriately perched high in a pine tree. 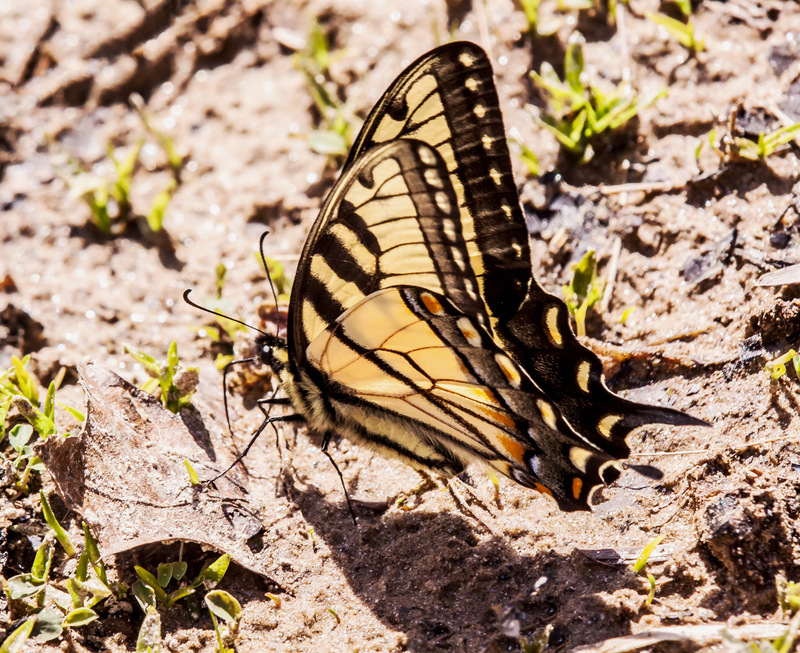 The second was an Eastern Tiger Swallowtail butterfly (Papilio glaucus) that appeared to be probing the sand on the bank of a forest creek. I suspect that the butterfly needed the minerals and salts, although I confess to initially thinking that butterflies needed only nectar from flowers for sustenance (and there were definitely no flower in the area of that creek).